I wrote my first computer program in 1973 and have been a computer nerd ever since. After graduating from New York University in 1975 with minors in both computer science and mathematics, I spent over 20 years working in an IBM mainframe (MVS) environment. Initially, I was a programmer, developing applications in COBOL, Assembly Language, VSAM, CICS and the ever-present batch environment. Then, after a year working with the IDMS database, I spent nine years working with DB2 for MVS as a Database Administrator. For the next four years (1995-1999) I worked in the Research and Development group of a large Wall Street financial company as they started the transition away from being an exclusively mainframe shop. Then I spent a couple years doing technical writing, producing manuals and the like for a mainframe software company. I am now an independent computer consultant and blogger. I work mostly with small businesses and the self-employed, doing whatever needs doing: websites, networks, software upgrades, backup strategies, data recovery, tutoring, purchasing advice, etc. Every day is different. 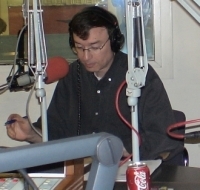 In 2002, I volunteered do the web site for The Personal Computer Show on WBAI and have been maintaining the site ever since. 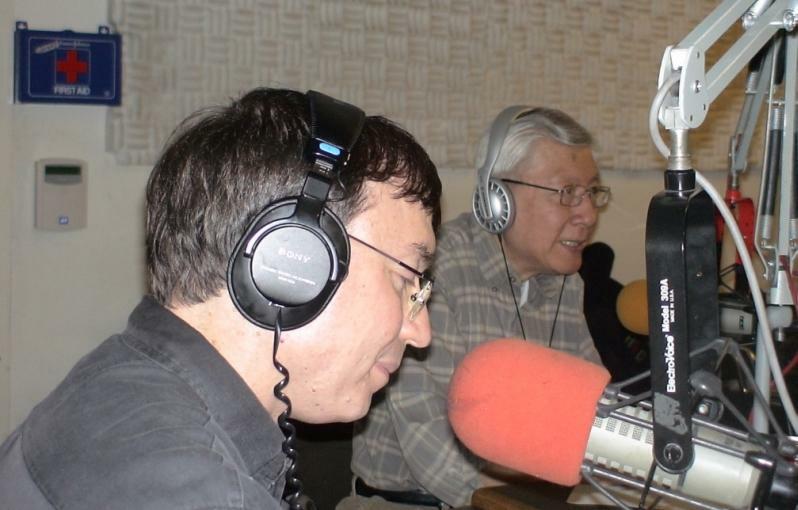 For a few years I was also a regular on the show and for five years, I worked on the web site for the radio station (here's another shot of me in the studio with Hank Kee). 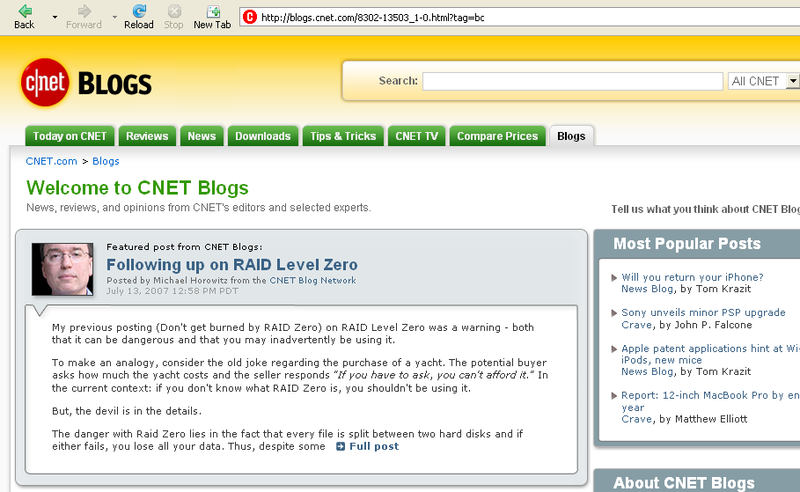 In January 2007 I started a blog at michaelhorowitz2.blogspot.com which was noticed by someone at CNET. From July 2007 through November 2008 I wrote the Defensive Computing blog as part of the CNET blog network. See one of my first postings. In January of 2009, I started blogging on Defensive Computing at Computerworld.com. The Computerworld blog lasted until October 2017. Since then, I blog here. I came to focus on Defensive Computing when I first started working at home. Previously, my home computer was a toy, I made my living working with mainframes. But working at home, the computer became seriously important. Corrupted, lost or deleted files would now be a big deal and there was no way I could work if the machine wouldn't boot. Bringing a mainframe mindset to these issues became Defensive Computing. I also see it as educating the less technical computer users to know just enough to avoid the most obvious mistakes. I have taught a number of classes, most with an underlying theme of Defensive Computing. I created all my classes (and hundreds of pages of handouts) from scratch. Defensive Computing was my first class, I also have a class on Backing Up Your Computer. The "So You Bought A New Computer, Now What?" class is basically about testing and configuring a new Windows XP computer to make sure you get off on the right foot Likewise the "Buying and Owning a Laptop Computer" class aims to insure students buy the right laptop for their needs and keep it healthy and happy. A number of the web pages on this site are also Defensive Computing oriented, such as Links that Lie. I have taught at Hunter College Continuing Education, the local New York Personal Computer (NYPC) User Group and elsewhere. I've also spoken to a couple local computer clubs. My first website, back in 1999 was ComputerGripes.com. It was a hobby and learning experience, but I stopped maintaining it once I started blogging in 2007. My Java Tester web site grew out of frustration, while taking Java programming classes, in determining the installed version of Java on different computers. Java applets running a browser have since fallen off the computing radar screen, but the site was hugely popular in its day. From July 2008 to March 2018, the home page was viewed 8.1 million times and the page that did the actual Java testing was view 19.8 million times (an average of 5,600/day over 3,500 days). My Flash Tester site has a revision history for the Adobe Flash Player. It started as an easy to remember link to the official Adobe Flash tester page. My latest website RouterSecurity.org started in early 2015. It grew out of a talk I gave on Securing a Home Router at the HOPE conference in July 2014. An article about my talk appeared in Toms Guide. In January 2018, it broke 2 million page views. From Nov. 2017 to March 2018 it averaged 3,650 page views/day. Not bad for a dull, boring, nerdy topic. As the license plate below implies, I live in New York. See some of my trivial bouts of publicity. I am not the father of Winona Ryder; that's a totally different Michael Horowitz. I am also not the Michael Horowitz who went to Harvard Law School and is now the Inspector General of the Department of Justice or the professor of political science. The name gets around. NOTE: This site went secure (i.e. HTTPS) on July 28, 2017. It uses a certificate issued from Comodo by Pair.com that cost $10/year. Needless to say, at that price, it is Domain Validated. Sorry to say, it supports TLS 1.0 and 1.1; I had no choice in the matter.